« Can You Learn (EZ) Butterfly at Any Age? Learning new skills: Repeat, repeat, repeat. Over the last 15 months, most of my reading has been about the body’s most mysterious and marvelous organ–the brain. Over the next two weeks I’ll distill a lot of what I’ve learned into a new ebook How Swimming Builds a Better Brain . . . and How the Brain can Build a Better Swimmer I’ll share interesting nuggets here. Have you noticed, as an adult swimmer, how long it takes to learn a new skill? I noticed. 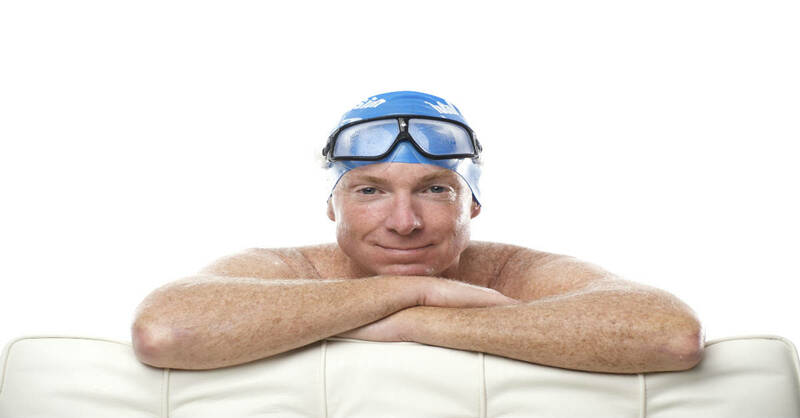 Since 1988, virtually all of my coaching has been with “adult-onset swimmers” – people who had no formal coaching in their youth. From 1972-1988 I’d coached younger people. So I had lots of opportunity to compare how adults and kids reacted to a new skill or drill. The kids would seem to be barely paying attention as I described it, but on their first length, they would usually come pretty close to what I was hoping to see. The adults would listen intently. I’d see them, brows furrowed, mulling it over. Some would do a bit of “air swimming” rehearsals. No matter. For all their attention and desire. their first attempt usually bore little resemblance to what I’d been trying to describe. Here’s why: According to Barbara Strauch’s book The Secret Life of the Grown Up Brain in middle age, our brains learn new tasks more slowly. The good news is that we gain more from repetition than younger brains. And that’s where motivation and engagement — which were strikingly evident at TI Workshops — pays a big dividend. Patient, examined repetition is the key to learning any motor skill. As I’ve noted before, it takes up to 7000 reps to burn a simple skill into muscle memory, and up to 20,000 to make a complex skill permanent. And the longer it takes us to learn something, the longer we remember it. So slower is better when it comes to learning swim skills. I thought I would share my experiences of learning to swim recently, to perhaps give some hope to your readers. After a bowel operation in the New Year, I decided to take up swimming, to regain some fitness. On March 16th 2010 I could swim 2 lengths of front crawl before spluttering to a halt. That day I met with a TI swimmer who showed me the potential benefits of fishlike swimming. Since then I have concentrated on the drills in Easy Freestyle, and the improvements have been striking. On May 2nd I swam 2 miles in 1hr 6 minutes, inside. On May 23rd I swam 2.5K in the Derwent Water Wild Swim, organised by the Outdoor Swimming Society. Yesterday I swam 5.4K, and felt fresh, if a little sunburnt, afterwards. On September 11th I’ll be swimming 10K in Ulswater, Cumbria. So I might not have the child-like ability to learn without apparently listening, but with a bit of focus on the things that matter, I have made improvements! Thank you, Terry, for your inspirational teaching methods! Tom – Congratulations and thanks for sharing your uplifting story with us. Stay focused on Continuous Improvement and the rewarding, empowering experiences will keep coming.